Forensics is the science of collecting relevant information, investigating and interpreting physical objective clues at the crime scene using scientific methods. That said, Forensics and its professionals are a vital part of the judicial system. If you’ve chosen Forensic as your future career and you’re willing to seek a world-class education than UK universities have a wide range of Forensic courses to offer you. Forensic science study programs at the University College of London will guide your way to an in-depth understanding of the most cutting-edge techniques and methods used in Forensic sciences. Currently, the university offers a Bachelor degree in Security and Crime Science and a MSc program in Crime and Forensic Science. The former last 3 years of full-time studies while the other last one year of full-time studies. Their core modules are focused on developing your knowledge of important skills related to this profession like data analysis, experimental design, interpreting objective pieces of evidence, etc. Your assessment at the end of the course will be done differently at each academic level. At the postgraduate level, you’ll have to complete a dissertation, thesis up to 10,000 words, while in Bachelor there may be other forms too, like practical assignments, oral presentations and similar. Anglia Ruskin University is highly valued for its Forensic science study programs. At this university you’ll be offered a comprehensive coverage of all skills and knowledge you must have as a future Forensic practitioner. In support of this exceptional level of education stands the high-quality of professorship, which is made of brilliant Forensic professionals and active researchers. Thanks to their strong ties with different partners in the industry, their graduates carry a higher employability after graduation. Both of these programs are accredited by the Chartered Society of Forensic Sciences. As an interdisciplinary science, being a Forensic professional requires a proper level of specialization in other sciences related to forensics. At the University of Dundee, you’ll find a wide variety of Forensic study programs whose curriculum merges Forensic with other important subjects. If you have a background education in psychology and would like to learn how to use it in the context of a judicial process for crime investigation purposes than the University of Manchester has a perfect match for you. As part of their Department of Psychology, the university offers a MSc Forensic Psychology and Mental Health, a brilliant postgraduate degree course. This course covers important psychology topics and their usage in legal and investigative processes. It lasts for 12 months of full-time studying and 24 months of part-time studying. To enroll in this course you must have a Bachelor degree in psychology. The Forensic academic unit at the University of Glasgow is proud to be the longest-standing forensic institution in UK. The unit was first opened in the far year 1839 and since then has built a nationwide reputation in teaching and research. This academic unit comprises two disciplines: Forensic Pathology and Forensic Toxicology. As such is one of the very few institutions to combine these two fields in one academic unit. In addition to a theoretical foundation that you’ll get at this university, you’ll also participate in real life situations at Scottish courts. Graduates of these study programs have the opportunity to choose between several careers like court-reporting toxicologists, laboratory forensic practitioner or academics. 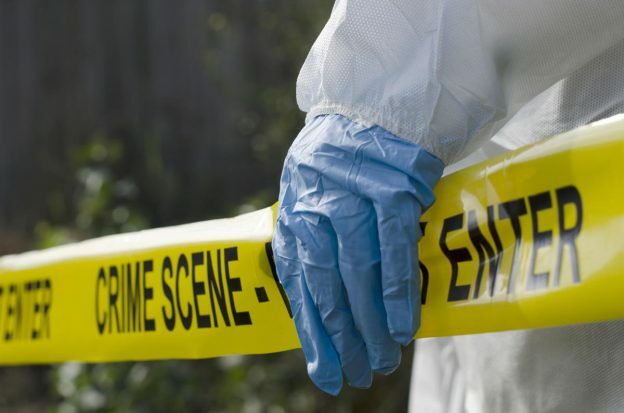 Studying Forensic science at the University of South Wales will give you an in-depth insight from the most cutting-edge developments in this study area. Its programs are a multi-disciplinary immersion, which guarantees you’ll have the best educational experience. Apart from its programs, the excellent staff of professors, modern facilities and job outlook make Forensic science a much sought-after study field at this university. Forensic science study programs at the Liverpool John Moores University count for a large number of courses offered at this university. If you choose to seek your Forensic degree at this institution you’ll be offered a good mixture of theory and practice. The university has invested over £6 million in recent year to build new facilities and laboratories. As such, forensic study programs are mainly research-oriented. Also, the university maintains strong relations with many potential employers in the area around so opportunities for getting a good job are higher. Studying Forensic at the University of Durham is about getting a grounding education on key issues related to crime. Well-structured modules and constant guidance and provision you’ll get from your tutors ensure you’ll gain the necessary expertise at the end of the course. The university aims to make your studying experience yet more amazing by maintaining ties with partners from around the world where you can go and attend a certain period of your education. At the University of Keele, you’ll get a fundamental education around core concepts in Forensic. The content of the course mainly consists of topics like genetics, anthropology, toxicology and so on. Complementary to a high-quality level of lectures you’ll also have the chance to participate in real-life simulations to put your skills into practice. As part of your course, you can complete a semester or an academic year abroad to add value to your degree. The University of Keele offers only one honours degree in Forensic and several combined study programs. At these combined programs, you study Forensic science in conjunction with other related fields like Astrophysics, Biology, Chemistry, Computer Science, Human Biology, Criminology, Law, Medicinal Chemistry, Neuroscience, Psychology, Physics. Forensic Science – BSc (Hons). King’s College London is ranked as one of the top universities in UK and beyond. Some of the courses at which the university is most appealing are Forensic study programs. At the undergraduate level, the university offers a course in Forensic Psychiatry, Criminal Behavior and Law. During this course, you get an introduction to the relationship between mental health disorders and the occurrence of the crime. This course will learn you the most profound knowledge in Forensic processes and investigation techniques. Internationally renowned professors and researchers will stay close to you to lead your way to become an excellent practitioner. Furthermore, the course involves a placement year so you can test your skills and abilities.